If you write, chances are, you’re a liar. Deception is a tool of the trade when you fabricate characters, settings, scenes, and those delectable plot twists everyone adores. The good news? Your readers want to be fooled. The bad? They’re constantly, instinctively looking for your tricks. This blog series explores the dynamics of deception in the written word: why less detail is often more effective, how barrier objects hurt your credibility, and the cooperative principles you can harness to your advantage. 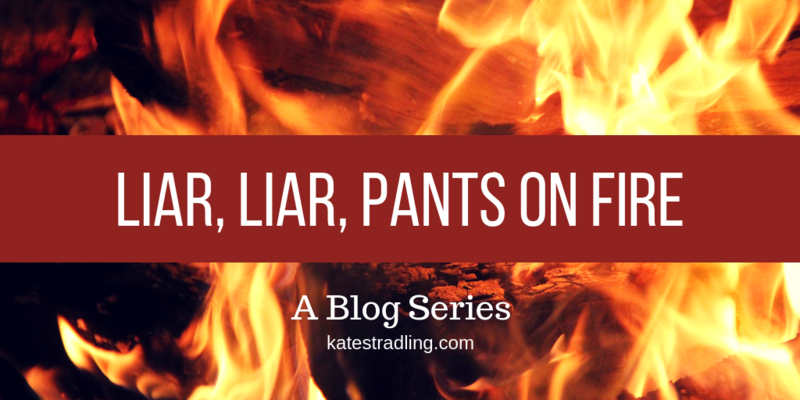 Learn the tells of a poor liar and the skills of an accomplished one so you can put away those flame-retardant trousers and lie like a pro. I used to edit academic nonfiction: lesson plans, dissertations, scholarly articles, and so forth. A couple years after joining a creative writing organization, I reluctantly switched to fiction editing. I say “reluctantly” because I knew from my own writing that fiction and nonfiction are two different beasts. As a nonfiction editor, I relied heavily upon my graduate training in language structure. The main goals for most documents involved increasing their efficiency and clarity. Fiction, though, is less concerned with efficiency and more with the progression of creative elements. Yes, my fiction clients wanted clean copy, but the way they used language was different. Drastically different. The way I used language when I wrote fiction was drastically different. And, inevitably, when that someone takes this advice and tries their hand at fiction, they run into a wall. Because that’s not how this works. Fiction and nonfiction are not interchangeable. We use language differently when we make stuff up. So let’s explore why fabrication is so unique, shall we? Radford, Andrew (2004). English Syntax: An Introduction. Cambridge UP. Additional references are linked within individual posts.